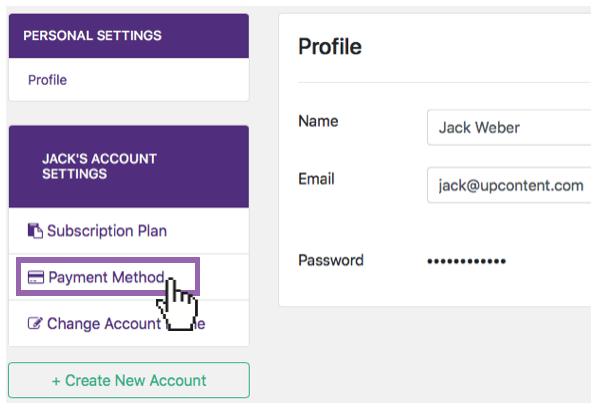 Steps for adding a payment method to your account. 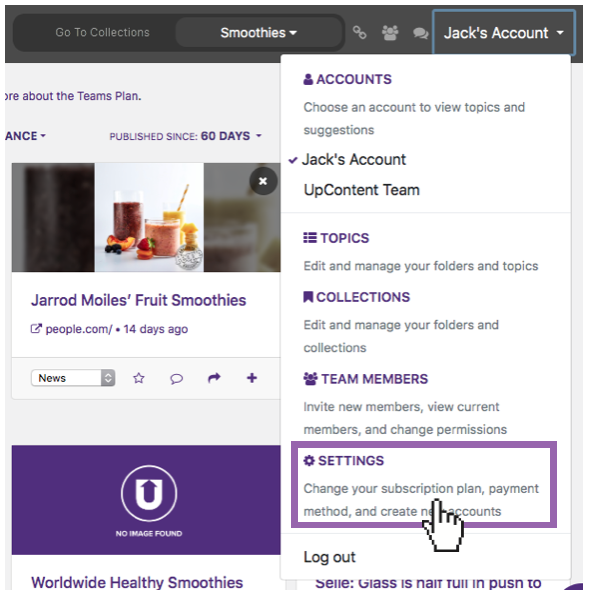 To add a new payment method to your UpContent account, begin by clicking on the current account name at the top right of the screen. Then, after making sure that you are in the appropriate account, click on "Payment Method" from the side-bar on the left. You can then use this field to enter your card information before clicking "save card" to complete the process. If you encounter any errors trying to enter your card, try these troubleshooting steps.